HILLS GET THE 3-PEAT IN DIVISION 1 at Club Champs! 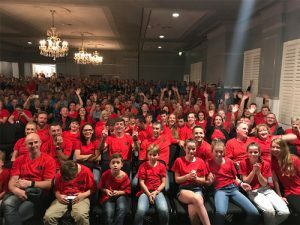 HILLS JUNIORS WIN BACK-TO-BACK TITLES! 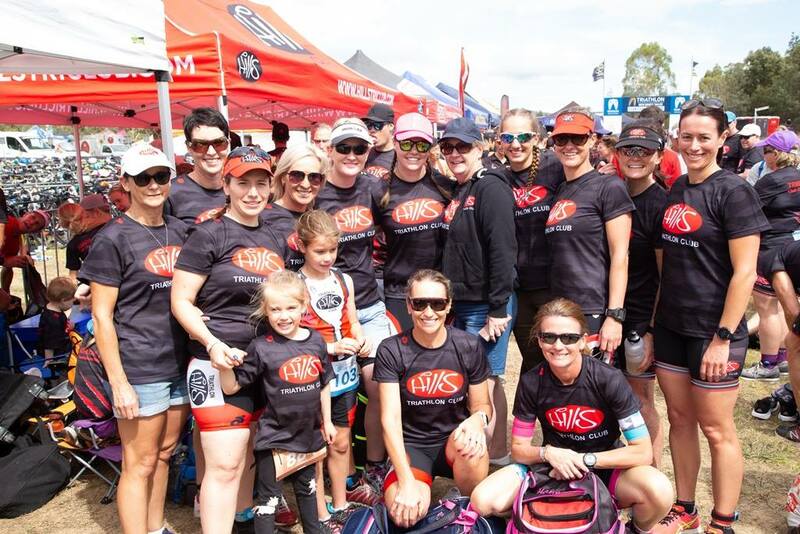 Thank you to all of the amazing Hills members and volunteers who represented our club at the Triathlon NSW Club Championships. 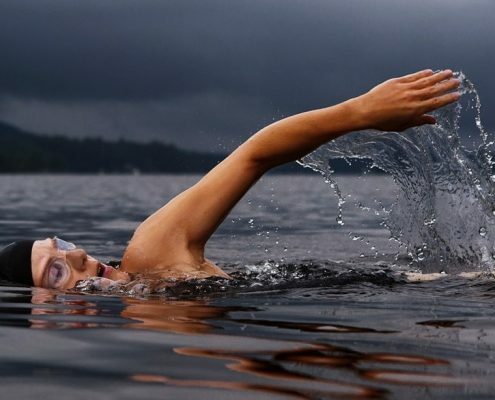 A total of 36 triathlon clubs took part in the event held in Orange for the third year in a row. There were approximately 1000 participants involved, made up of both people racing and volunteering. It’s the first time in our club’s history of winning 3 x Club Championship titles in a row, and we are absolutely over the moon about it. It’s also our club’s first time for winning back-to-back Junior Triathlon NSW Club Championships, which is an outstanding achievement. Our Hills Juniors were so unbelievable! Due to the event clashing with other state sporting activities, this year we only had a small team of 14 Hills juniors compared to 23 juniors last year. Whilst our team was small in numbers, all of our juniors each had the heart of a lion. Defying the odds (as some other teams had around 30-35 participants) our juniors did the club proud. It was another great weekend away for them, racing together as a club. A BIG THANK YOU must go to all of our Hills members and volunteers who answered the call to join this year’s team. There were around 16 people from our team who did a day trip out to Orange. Just this effort alone is admirable and shows true spirit. The loud cheering from our volunteers and support crew put an extra spring in the step of everyone in our team. The volunteer points massively contributed to our club’s overall victory and we couldn’t have done this without you. There were so many great individual performances on the day. The true heroes were our large army of determined members who raced at a steady pace to finish and get the job done. All of you combined are the heart and soul of our team. We raced together as one club and we finished together as one club. Our victories on the weekend are for all members (both past and present) who have supported our club in the time leading up to now. A huge thank you to our hard working committee (again, both past and present) for all of the work done behind the scenes. We have a strong and united team. If everyone continues to participate and support each other then success will take care of itself. 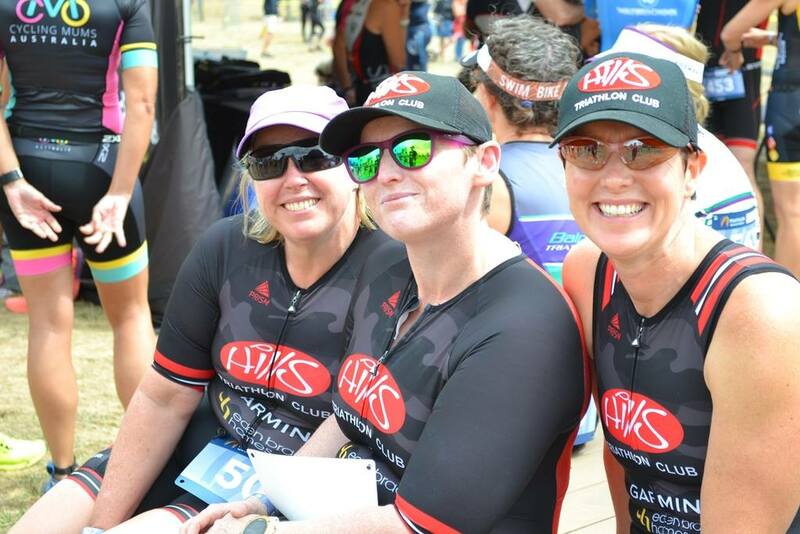 Hills is more than just a triathlon club, it’s a community. Thank you all for making this club so special! Another big race held out at Orange was our annual “Run in something funny or run in your undies”. There was a great turn out of competitors for this prestigious race and there were prizes for the fastest and best dressed. 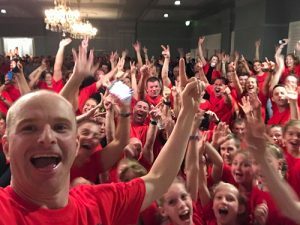 The conditions were tough for all competitors because the race was held straight after dinner (where we had around 150 pizzas, garlic bread and drinks). Congratulations to the speedster Matt Pearson for running the course and doing the required amount of push ups in his panda bear costume. The beautiful Rosie Langley took out the best dressed award. Look out for Rosie in 2020 as she said she is already planning something bigger and better for next year! Below were the top 3 rankings for the divisions our teams competed in. 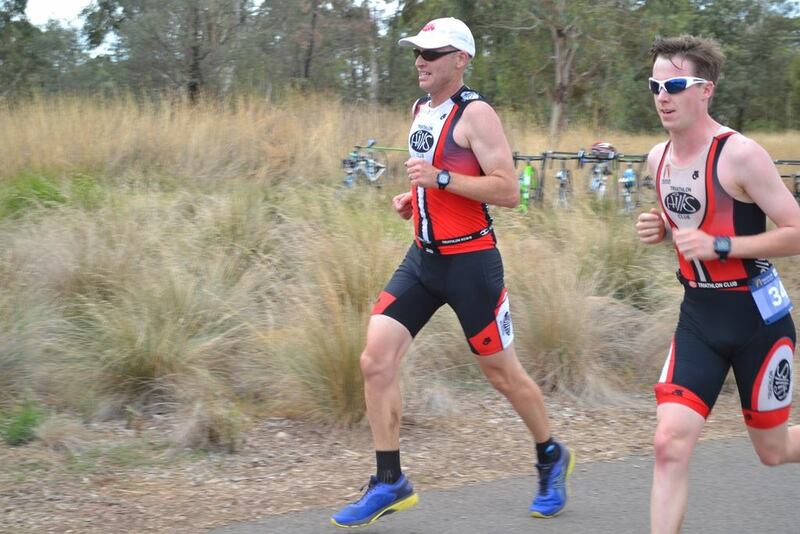 Congratulations and thank you to Triathlon NSW, Orange City Council and Elite Energy for hosting another professionally run Club Championships. 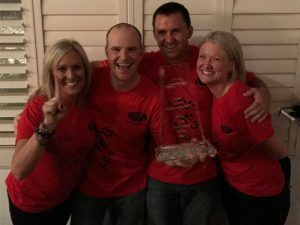 Check out the photos from our winning 2019 Club Champs weekend. 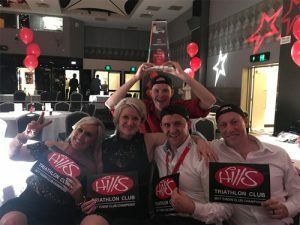 Hills Triathlon Club – Club Champs 2018 undies race!